Dr. Alexandra Natova is the medical director of medical services. In this role, she is in charge of the nonpsychiatric medical care provided to the patients admitted into Walden’s eating disorder, psychiatric, residential and partial hospitalization programs. She works in close collaboration with attending psychiatrists, nurse practitioners, nurses, dietitians, social workers and counselors. She completes patients’ initial medical evaluation upon admission and provides medical consultations for the management of patients’ medical problems during hospitalization. She is an active member of Walden’s Infection Control Committee, which serves to minimize patient and employee risk of infections. Dr. Natova received her medical degree from the Pavlov Higher Institute of Medicine in Bulgaria and completed internship and residency in medicine at St. Elizabeth’s Medical Center, Boston. Dr. Natova has extensive experience in hospital-based internal medicine and primary care. She has worked as an attending physician at Northeast Specialty Hospital, Braintree, Mass., and Kindred Hospital, Waltham, Mass. She has a private primary care practice at Natov Medical Associates, PC, Weymouth, Mass., and is also an assistant professor in medicine at Tufts Medical School. Debra Foti-Flynn is the associate medical director on the eating disorders unit at Walden. Her responsibilities include coordination of care for complex, medically compromised eating disorder patients, daily collaboration with a multidisciplinary treatment team and daily medical and psychopharmacological evaluations. She also conducts ongoing assessments of patients for physical and emotional safety, psychiatric evaluations and physical exams. Before joining Walden, she was a full-time visiting professor of nursing at Regis College, where she also earned her master’s degree in nursing. Gail Hanson-Mayer is an advanced practice nurse responsible for medical and psychiatric management at Walden Behavioral Care clinic locations in Massachusetts. In this position, she coordinates care for patients with a variety of eating disorders. Working with a multidisciplinary team, Gail monitors and evaluates patient medication and provides ongoing physical and emotional assessments. Formerly, she was vice president of clinical operations at Walden and was responsible for the clinical operations of the inpatient and residential programs in Waltham. Gail has 35 years of nursing experience. Currently, she is the director of counseling services for Regis College with responsibility for the coordination of mental health services for undergraduate and graduate students. Previously, she was an advanced practice nurse at Comprehensive Psychiatric Associates where she provided outpatient services to a caseload of psychiatric, addiction, eating disorders and co-occurring disorder patients. 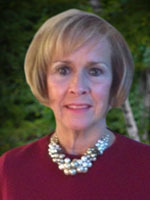 In addition, Gail has worked in senior nursing and consulting positions at Sterling Resources LLC, Universal Health Services, Management Services Inc., Choate Health Management Inc. and Choate Health Systems Inc. She earned a nursing degree from Massachusetts General Hospital and a master’s degree in public health from Boston University School of Medicine. Jane Sullivan is a Nurse Practitioner at Walden’s Alcott Eating Disorder Unit. Her job responsibilities include coordination of care for complex, medically compromised eating disorder patients, daily collaboration with a multidisciplinary team, daily medical and psychopharmacological evaluations, ongoing assessments of patients for physical and emotional safety, psychiatric evaluations and physical exams. She formerly worked for many years at Walden’s Thoreau Center for adult psychiatric care. She has worked in many outpatient clinics and partial hospitalization programs,and held a faculty position at Troy State University. She began her career as a Captain/staff nurse in the United States Air Force. She received her BSN from University of Vermont and her Master’s Degree as a Psychiatric-Mental Health Clinical Specialist from Rivier University. 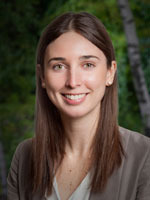 Emily R. Van Doren is a nurse practitioner at the Alcott Eating Disorder inpatient unit and at the Crescent Street Outpatient Clinic. Her responsibilities include coordination of care for complex, medically compromised eating disorder patients, daily collaboration with a multidisciplinary treatment team, daily medical and psychopharmacological evaluations as well as ongoing assessments of patients for physical and emotional safety, psychiatric evaluations and physical exams. Formerly, Ms. Van Doren was a nurse practitioner at Pediatric Associates of Lewiston in Maine where she worked with children, adolescents and young adults in a primary care setting providing consults to primary care providers, performing psychiatric evaluations, developmental-behavioral assessments and psychiatric medication management. Ms. Van Doren gained experience as a nurse practitioner while working in several practicum locations throughout New England including Cambridge Health Alliance, East Boston Neighborhood Health Center, Naval Health Clinic New England, Donald McKay School and Children’s Hospital, Boston. She has a master’s degree from the William F. Connell School of Nursing at Boston College and is a licensed family-mental health nurse practitioner (PMHNP-BC) and a pediatric nurse practitioner (C-PNP). She is a professional member of Sigma Theta Tau International – Honor Society of Nursing, Alpha Chi Chapter; American Academy of Nurse Practitioners, and American Psychiatric Nurses Association. Katie Kahn is a board certified Family Psychiatric Nurse Practitioner that works primarily in Walden’s Adolescent Residential and the Waltham Adolescent Partial Hospitalization Program. In this role, she is responsible for performing psychiatric evaluations, prescribing psychotropic medications as needed, providing ongoing follow-up for close psychopharmacogical monitoring, and collaborating daily with multidisciplinary team to ensure safe, holistic care. Ms. Kahn began her career as a registered nurse on a general medical unit at Boston Children’s Hospital. While working there for four years, Ms. Kahn cared for patients with a range of medical and behavioral diagnoses, including patients with eating disorders that required medical stabilization.While pursuing her Master’s Degree, Ms. Kahn interned at the South End Community Health Center and the Blackstone Elementary School, both located in Boston, MA. During these experiences, Ms. Kahn provided individual and group therapy to a diverse population throughout the lifespan with a variety of mental health diagnoses. After graduating from Northeastern University, Ms.Kahn completed a behavioral health fellowship at Harvard Vanguard Medical Associates in Cambridge, MA where she continued to gain experience providing individual therapy and prescribing psychotropic medications. Ms. Kahn has also worked as a clinical instructor for Northeastern University undergraduate and graduate nursing students studying psychiatric/mental health nursing.